Anyone can set aside 15 minutes a day to start building their financial freedom. How can we do this? With hyper-efficient ninja tricks, shortcuts, and focus on the activities that will pay off now. Learn how to make invitations and appointments in seconds, with no rejection. Get immediate decisions from our prospects without long, boring sales presentations. Instead of chasing people, plant seeds so they will come to us. Create the Big-Picture Story That Sticks! Worried about presenting your business opportunity to prospects? Here is the solution. 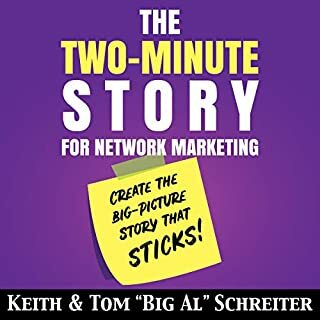 The two-minute story is the ultimate presentation to network marketing prospects. When our prospects see the big picture, they make decisions immediately. No more "I need to think it over" objections. In less than two minutes, our prospects will move forward, ready to join. This presentation requires no flipcharts, videos, research reports, testimonials, PowerPoint slides, or graphics. All it takes is a simple two-minute story that we customize for our prospects. In just a few minutes, our quick start instructions can help our new team members find the perfect prospects, close them, and avoid embarrassment and rejection. Our new team members have never done network marketing before. Let’s shorten their learning curve while helping them get results in the first 24 hours. Old-school closing is old news. In today's world, prospects are over-exposed to marketing and are sales-resistant. Use these closes to help our prospects move forward and say “yes” to our offers. Not every close is perfect for every prospect. We want a variety of closes. Let’s choose which close is best for our prospects, and most natural for us. Never be afraid of closing again. In fact, we will look forward to closing. Happy times ahead! 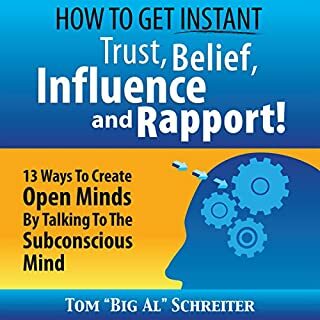 How to Get Instant Trust, Belief, Influence, and Rapport! Why can't salesmen sell? And why won't prospects listen? We offer great products to prospects. We say great things to people. We share our vision and passion with others. And they don't buy, they don't believe us, and they don't share our vision and passion. We say great things, but people don't believe us, and they don't trust us. So we don't need more good things to say. Instead, we need to learn how to get people to believe and trust the good things we are saying already. Where do I start? What do I say? I don't want to sound like a salesman. How can I relax my prospects? When we are untrained, giving presentations can be difficult. We don't know the real questions in the minds of our prospects. We don't know what triggers a "yes" or "no" decision. Many times, we don't even know where to start. How to Follow Up with Your Network Marketing Prospects: Turn Not Now into Right Now! Procrastination stops and fear evaporates when we have the correct follow-up skills. No more dreading the telephone. Prospects will return our telephone calls. And now we can look forward to easy, bonded conversations with prospects who love us. In the new world of instant decisions, we need to master the words and phrases to successfully move our potential clients to lifelong clients. Easy...when we can read their minds and service their needs immediately. Can we master these new words, phrases, and five questions quickly? Of course we can, and this audiobook shows us how. Get our prospects to make a "yes" decision immediately...even before our presentation begins! Closing at the end of our presentations creates stress for us and our prospects. We hate the feeling of pushing for a final decision at the end of our presentation. Now we can confidently give our presentations without the pressure of trying to convince our prospects. Why? Because our prospects already want what we offer. read now! grow your business! 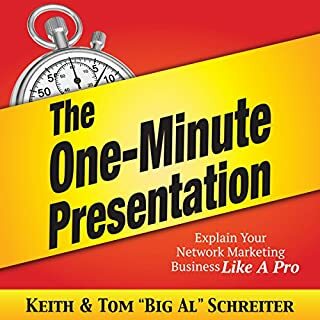 In this audiobook discover many types of successful, fun first sentences that will generate positive engagement from prospects. Our prospects guard their time, so they are especially brutal when judging our first sentences. Most times they make that entire judgment in the first few seconds. You want your prospects on your side when presenting. You can't start with a second sentence, so your first sentence better be good. You can turn any warm or cold prospect into a hot prospect, wanting to know all about your business. How? By learning how to effectively introduce your business into a social conversation with an easy, rejection-free sequence of just a few words. Prospects want what you have to offer, but they are afraid of someone selling them. However, prospects love to buy and join. So why not use socially acceptable word sequences that compel any prospect to literally beg you for a presentation? Builds confidence and great ideas! Can goals be easy? What is the secret? Some goals feel difficult. Other goals feel easy to achieve. Why is this? There are many factors that can help us, or sabotage us on our way to achieving our goals. Once we understand these building blocks, we can put them to use to design goals that work for us. Building blocks? Think of them as tools that remove difficulty and enhance achievement. Look at these five common-sense ideas that help. First, humans are short-term thinkers. Our initial goals need short timelines. We also have short-term memories. Tying our shoes, brushing our teeth, and driving the same route every day - all are habits. So why can't we create three automatic habits that effortlessly move us to network marketing success? Well, we can. Every new distributor needs habits. Every experienced leader needs habits. When our team has habits that build consistently, we can push our business into momentum. In network marketing, the easiest and most comfortable way to prospect, sell, and sponsor, is with... a story. Facts are boring. Everyone represents a company with great facts. Our prospects have heard that all before. But with a story, everything changes. The prospect becomes involved in the story, and instantly sees what you see. And isn't that what you want? So forget the flip chart, the presentation book, the website, the PowerPoint, and the video. What should a new distributor do first? So much for the new distributor to learn, only part-time hours, but they need to build quickly. This book shows the beginner exactly what to do, exactly what to say, and does it through the eyes of brand new Distributor Joe. MLM is different than a regular job. 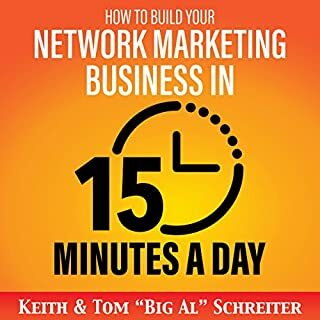 Every new person in your business should have a copy of this book to guide them in the early days of their network marketing career. Where can you find great prospects for your network marketing business? Who are the best prospects? Where can you find groups of these prospects? And how can you attract these prospects to you and your multilevel marketing business? 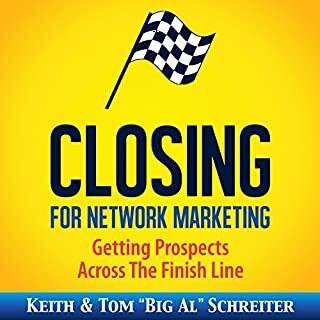 In this book, 51 Ways and Places to Sponsor New Distributors, you will learn the best places to find motivated people to build your team and your customer base. This book shows us how to locate the best leader candidates and how to groom them for leadership. Learn exactly what to say and exactly what to do to change their attitudes, their thinking, and their results. Instead of wishing and hoping for leaders, this book will give you the step-by-step activities to create leaders. Instant bonding, instant communication, and how to get your network marketing prospects to fully understand and act on your message = fun! This is the most fun of the 25 skills of network marketing. Our prospects have a different point-of-view than we do. So how do we give them our message in a way they "get it" and enjoy it? Do you want to meet new people easily? Want to bond with new people quickly? Instantly remove fear, shyness, and rejection. Follow these little formulas for stress-free introductions and conversations with strangers. Meeting new people is easy when we can read their minds. Discover how strangers automatically size us up in seconds using three basic standards. Once we know how and why strangers will accept us, meeting new people is easy. We can control the outcome. We don't have to be a psychologist or an outgoing superstar. All we have to do is use these little formulas to instantly bond with the new people we meet. Can we feel good about meeting new people? Absolutely. Instead of dreading that first encounter, we will look forward to meeting new people and controlling the outcome. Our fears go away when we know how to engage people successfully. The payoff for learning this skill? Think of the power we will have to create new contacts, new networks, new business, and new friends. And we can use this skill anywhere, anytime, on demand when we need it. Make meeting new people an awesome experience. ...From beginning to end, I found this book extremely helpful. 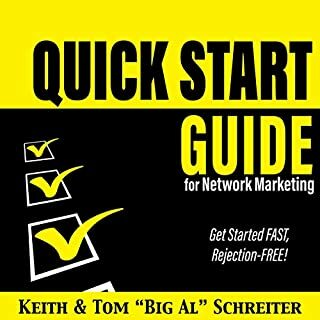 I'm freshly entering the network marketing world, and I've always felt that I've been "socially awkward". There are some things which are mentioned in this book which are common sense, but for some of us (for me, anyway), common sense is a commodity. Sure, seeds have been planted over the years, but this book waters the seeds and helps them to germinate. 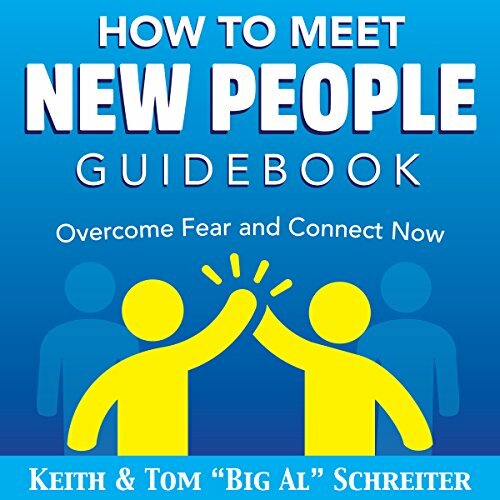 I would totally recommend this book to anyone who is wanting to overcome fear and to learn how to meet new people. It is full of humor, great illustrations, and practical tips for getting out of one's comfort zone!